"Veritable Vegetable"...we have begun utilizing Pallet Wrapz, a reusable pallet wrap system." As part of Veritable Vegetable's ongoing effort to reduce our impact on the environment, we're excited to announce we have begun utilizing Pallet Wrapz, a reusable pallet wrap system. After testing the product in our warehouse, Veritable introduced the new item to a limited number of customers on today's delivery schedule. An Eco friendly reusable pallet wrapper green alternative to stretch film shrink wrap. 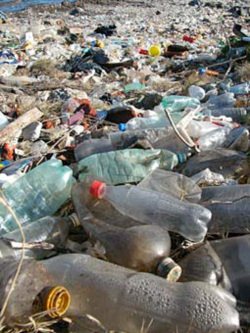 Our company (material handling and packaging solutions) first started because we saw a need to reduce the amount of plastic being dumped into our landfills. Feeling environmentally responsible we developed a product that would reduce the amount of a petroleum based stretch film and shrink wrap that is being used by most companies globally. This technology called Pallet Wrapz is more secure than stretch film and will save you money. Contact us to calculate your savings (ROI). Pallet Wrapz (reusable wraps) are always consistent. In comparison to stretch wrap that is made by a multitude of companies, making it difficult to monitor the consistency. Companies that manufacture material handling and packaging stretch wrap are downgrading to lesser gauge, petroleum -based stretch film to save money. Film gauge inconsistencies can result in load shifting during transport and risk pallet security. Pallet Wrapz (reusable wraps) help to reduce user error that could cause severe injury (basic ergonomics). 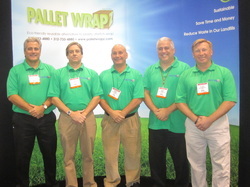 Pallet Wrapz (reusable wraps) was established in May of 2011. We offer an exceptional one of a kind product. It is secure, eco-friendly and cost effective. We take pride in our outstanding customer service. 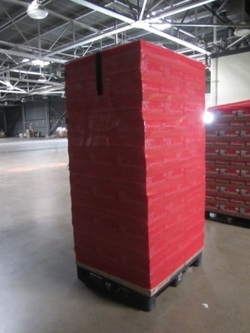 Pallet Wrapz come in a variety of sizes and colors that will suit your shipping and storage needs. Our products are durable, dependable and made of the best quality material. If you do not see a particular product or size you are interested in, please contact us so that we can help you with your custom needs.